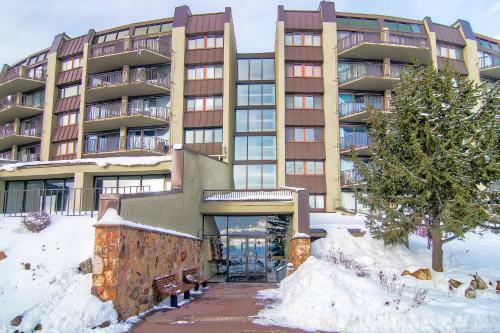 Located adjacent to the Christie Chairlift in Ski Time Square, this resort offers ski-in access to Steamboat Ski Area. Views of Yampa Valley are featured. Free WiFi is available. Rooms at Bronze Tree by Wyndham Vacation Rentals include a fireplace, a fully equipped kitchen and a cable TV with DVD player. 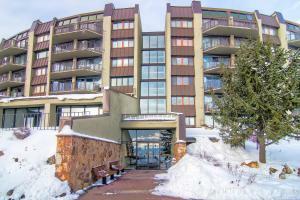 A private ski locker and free laundry facilities, with detergent, are provided. When not skiing, guests of the Bronze Tree can enjoy the heated indoor pool or indoor and outdoor whirlpools. A fitness center and sauna are also open on-site. Downtown Steamboat Springs is less than 10 minutes from Bronze Tree by Wyndham Vacation Rentals. The resort offers a winter shuttle service to guests during ski season.